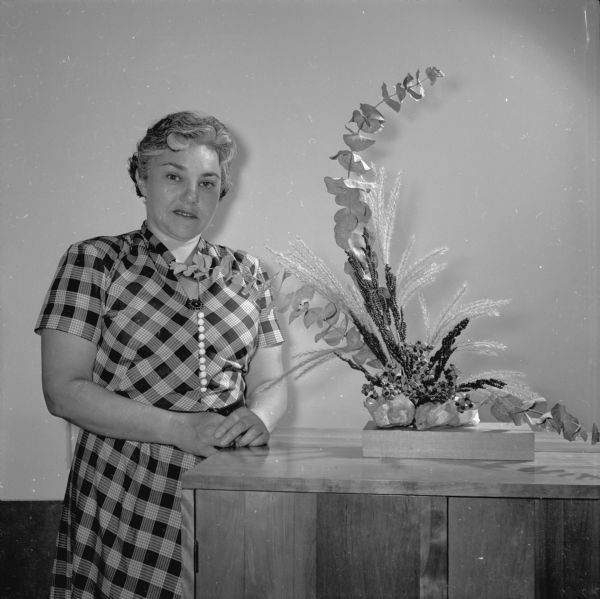 Mora Lincoln with one of her flower arrangements. She regularly gives lessons and demonstrations on the art of arranging flowers. Published in the Wisconsin State Journal on June 15, 1953. One of five images.